Mount Harmony Elementary School in Calvert County is one of six Maryland schools to be recognized as a Blue Ribbon School for the 2018-2019 school year. Congressman Steny H. Hoyer released a statement about the honor, congratulating the school and its community of staff and students for this high honor. Congressman Hoyer said education remains a top priority of Congress. “Ensuring our students have the education and skills they need to succeed is vitally important for our communities, and I applaud each of the six schools in our state that were recognized with this award,” he said in the statement. In addition to Mount Harmony Elementary School in Owings, the following schools were selected as an Exemplary High Performing School: Pinewood Elementary School in Baltimore County, Clarksville Middle School in Howard County, Urbana High School in Frederick County, Glenarden Woods Elementary School in Prince George’s County, and Ocean City Elementary School in Worcester County. 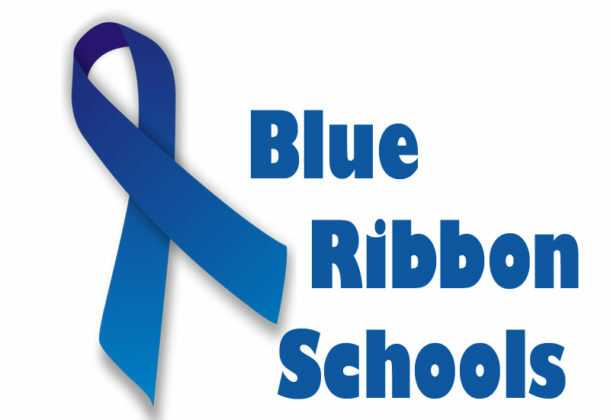 Each of the six Maryland schools will be invited by the US Department of Education to apply to be National Blue Ribbon Schools. Since 1982, the US Department of Education has identified and celebrated excellence in education. The more than 8,500 recognized public and non-public National Blue Ribbon Schools represent US states, the District of Columbia, Native tribes, territories, and military bases. Together they feature effective teaching and learning at all grade levels, in all geographic settings, and with all students. Learn more on its website here.